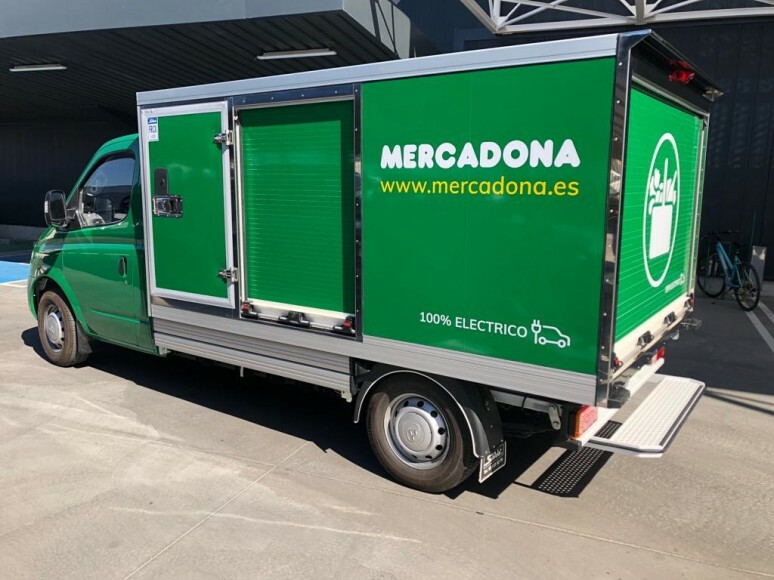 Thermo King has partnered with Mercadona to add a new fully electric refrigerated vehicle to the fleet carrying out deliveries from the Spanish retailer’s online store operations in Valencia. The project is aligned with Mercadona’s Corporate Social Responsibility Plan and Sustainable Urban Distribution Project, aimed at improving the air quality in cities by using vehicles that are propelled by the cleanest, most efficient fuels. It’s part of the retailer’s strategy to commit and invest in environmentally friendly, sustainable transport and logistics fleets in order to contribute to reducing emissions and improving air quality in cities. The vehicle entered operation in March 2019 and can access any inner city, low-emission zone and perform services in the early mornings and late at night thanks to its silent operations and zero-emission engine. 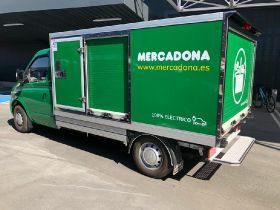 Mercadona said it had chosen to work with Thermo King on this electric van project because of the company’s expertise and leadership in developing electric, intelligent and sustainable refrigerated transport. “Mercadona representatives visited our manufacturing facility in Barcelona, where we have been successfully working on combining our vehicle powered and full electric refrigeration units with the latest electric trucks and vans,” said Eneko Fernandez product management leader at Thermo King. Pauli Johannesen, vice president and general manager for Truck, Trailer and Bus at Thermo King in Europe, Middle East and Africa, said the project was part of the company’s vision to help transport foods and goods safely with zero-emission, no noise and maximum convenience for urban populations. "Thermo King is a leader in electrification in the transport climate control industry. We have the largest range of zero and low-emissions solutions in all segments of the market and we continue to invest in innovations that will help customers stay ahead of regulation, control their total cost of ownership and residual value, increase efficiency and achieve important sustainability goals,” Johannesen said. The new sustainable home delivery vehicle combines the Maxus electric truck with the Thermo King multi-temperature unit capable of cooling and maintaining the set temperature levels of the vehicle’s three compartments for fresh, frozen and dry products. The vehicle has a capacity to transport seven online-orders per trip and is part of the Mercadona fleet carrying deliveries from its "Hive", online sales warehouse, in the province of Valencia.